Fine wines and champagnes with VSF the yacht suppliers is the discussion of the day on the Riviera Firefly podcast. 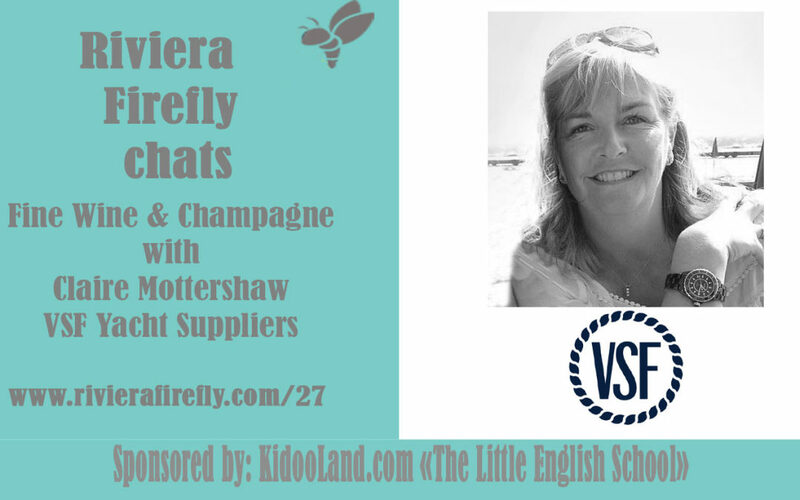 Claire Mottershaw from VSF- Vin Sans Frontiers chats champagnes, prosecco and fine wines and what to have on the festive table. She takes us through her business journey and what makes VSF the supplier with a difference ? the one that the Chief Steward Stewardess and Captain should be looking for. We cover family life and how being your own boss can get you off the hamster wheel. A pdf on all the books mentioned in the first 10 podcasts will be available for download www.rivierafirefly.com/bookclub.